A new app from Silicon Valley veterans Jigar Shah, Paresh Jain, and Parin Shah has a soul-restoring premise for those losing badly to their commutes this week. 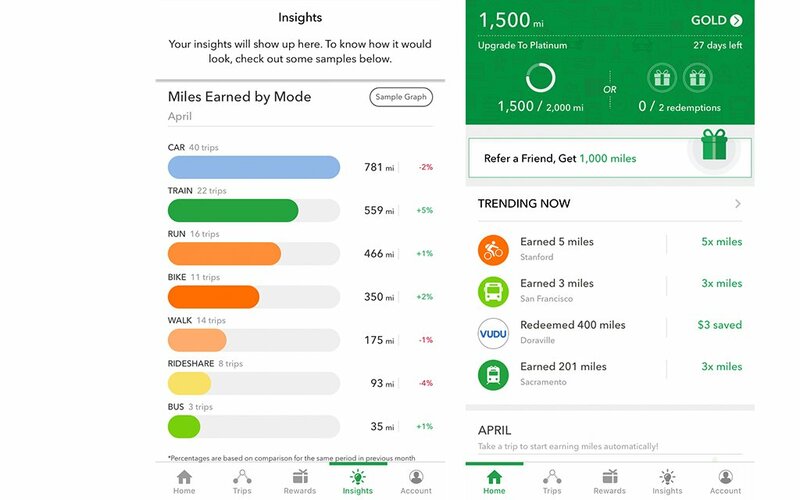 Miles, now available for download on iPhone and Android devices, helps you earn rewards with a sizable list of brands by moving yourself from point A to B to C … and there are extra points for doing so sustainably. 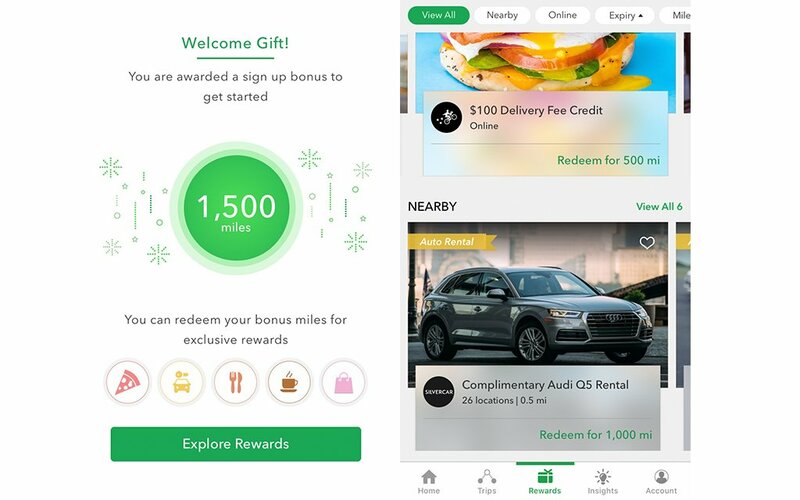 Once you sign up for the app, you’re immediately awarded 1,500 free miles, which I had to restrain myself from not blowing right away in the in-app “Rewards” shop. The app currently works with 35 brands for discounts on everything from Postmates ($100 of delivery credit) to Rhone apparel ($15 off your purchase), with each deal corresponding to a certain amount of miles earned. For a full list of participating brands, head here. It’s a clever idea, and a win-win-win. You get digital coupons for doing what you have to do each morning and evening (you don’t even have to log in, the app will recognize all your trips), brands get to accrue loyalty because participants eventually “spend” their miles, and the environment wins as more people focus on sustainable travel. Some may hesitate to sign up for the app for fear of data privacy, which is a fair concern. While Miles pledges not to sell your information to third parties, they will be able to compile quite a bit of it. Email accounts, Facebook pages, location services (for the app to automatically register trips, you need to have the toggle on “Always Available”), spending preferences, late-night food orders … Miles will record it all. Plus, the app plans on using that information to “target” certain areas with certain rewards. A city with a more intense caffeine addiction, for instance, might see more frequent/lucrative Starbucks deals. Still, that’s not radically different from the ways a dozen of your phone’s other apps keep daily information on your whereabouts and tendencies. If you want to earn conveniences in a smartphone world, you kind of have to use your smartphone. We recommend downloading the app and forgetting about it. Go back to your commute for a few weeks, then eventually check back in and see how many points you have. Make some purchases with money you didn’t realize you had, then repeat. For more information on the app, head here.